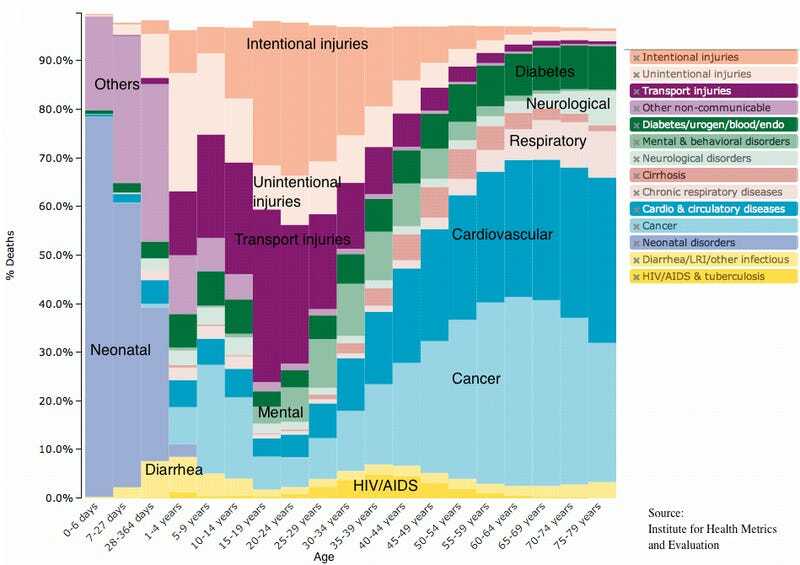 Here's a fascinating look at the different causes of death across all age groups in the United States, according to the Centers for Disease Control and Prevention. This is data from 2010—the latest compilation. There's many more interesting graphics.